t0.com is the fintech subsidiary of Overstock.com, one of the largest ecommerce companies in the world. 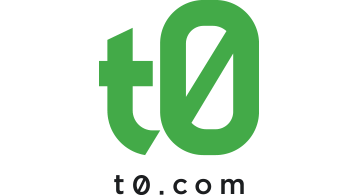 Overstock.com CEO Patrick Byrne launched t0.com in 2014 a few months after Overstock.com became the first major retailer to accept bitcoin as a form of payment. In 2015 t0.com made history when t0 technology was used to execute, clear, settle and unwind the first ever trade of a purely blockchain-based securities trade. Also in 2015, Overstock.com, a public company, received regulatory approval to issue shares entirely on blockchain technology.